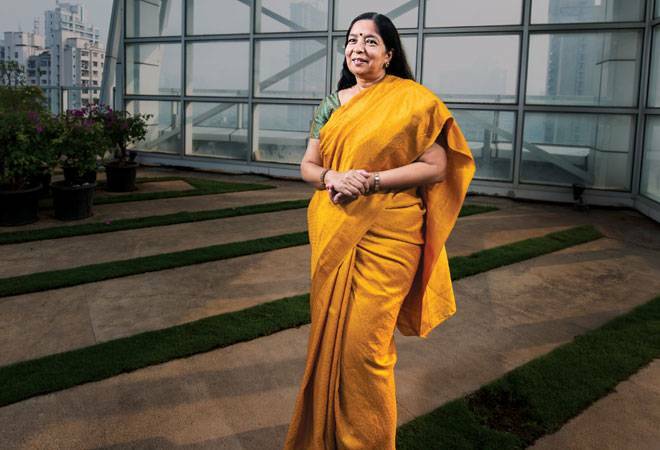 Shikha Sharma's stint at Axis Bank has yielded dramatic results. Shikha Sharma loves watching Bollywood movies, maintains a fitness regime, reads books of all sorts and even sings Hindustani classical music. But not many know that the 57-year-old MD & CEO of Axis Bank is also a devotee of the Hindu god Shiva. "I have worshiped Shiva for a long time," says the soft-spoken Sharma, seated in her eighth floor corner room in Central Mumbai. The daughter of an army officer, she has never missed fasting for Lord Shiva on Monday since the time she started her career with the ICICI group in the early 80s. In fact, Shiva - believed to be the destroyer and one of the three supreme gods in Hindu mythology - has been just about the only constant in her life over the years (she has also grown up reading Mills and Boons romance novels). Sharma is quick to point out that the Shiva story is not well-known. "Ramayana and Krishna stories are better known and talked about," says Sharma, who loved author Amish Tripathi's trilogy on Shiva. Indeed, there is another facet of Sharma's personality that has not changed over the years, even as she built her career in the cut-throat financial services sector. She keeps her composure in difficult times - her devotion to Shiva probably helps in maintaining her sangfroid. In fact, her entry into Axis Bank in May 2009 was nothing but dramatic. Her first day in office was at the bank's 15th annual general meeting (AGM) in Ahmedabad. Axis Bank (erstwhile UTI Bank), the country's third largest private bank, was going through a turmoil of sorts as outgoing Chairman & CEO P. J. Nayak pitched hard for an internal candidate to steer the bank instead of hoisting an outsider like Sharma. There was obviously some heartburn amongst employees at the decision to appoint her in the top job. The economic environment, too, was hostile as the news of global banks going belly-up hit the news every now and then, a consequence of the global financial crisis. But it has been a successful stint for Sharma, so far. Under her stewardship the bank has gone from strength to strength. Sharma's journey at Axis Bank has yielded results. The bank loans & advances assets, operating revenues and profits have been consistently growing at a CAGR of over 20 per cent in the last five-years. In the last fiscal (2015/16), the bank's advances grew by 22 per cent to Rs 2,81,083 crore, assets increased by 20 per cent to Rs 4,61,932 crore, operating revenues rose by 17 per cent to Rs 22,589 crore and net profits were up 18 per cent to Rs 7,357 crore. This performance has made Sharma the best CEO in the banking pack. And to think that she was not a seasoned commercial banker before she joined Axis Bank. So what next? "People have enough complexity in their life. We don't want banking to add to that complexity," says Sharma with a grin. She wants to make banking simple for people in terms of product features, design and service delivery. To be fair to P. J. Nayak, the bank Sharma inherited was rock solid. In 2009, the year Nayak left in a huff, Axis Bank, though smaller in size, was ahead of HDFC Bank and ICICI Bank in terms of cost, asset quality and return parameters. Six years ago, the bank had a cost to income ratio of 0.43, non- performing loans at 0.40 per cent and return on assets at 1.23 per cent - it was a stable bank. "Axis was still a developing franchise. There were opportunities to grow and diversify when I came in," says Sharma. In fact, people were at the heart of her strategy to transform Axis Bank, a private bank better known for its public sector characteristics. The senior management had people from UTI and State bank of Bikaner and Jaipur (SBBJ). Sharma poached V. Srinivasan from JP Morgan Chase, within months of her joining the bank, for heading corporate banking. A year later, she got Tata Group professional Rajesh Dahiya as HR head. Around the same time, Jairam Sridharan entered the bank to head retail lending and payments from US-based Capital One Financial. Sridharan is now the CFO of the bank with Rajiv Anand, who joined the asset management arm of Axis in 2013, taking over as Group Executive and Head of Retail Banking. "We have got lateral hires wherever we needed new skills or talent. We have got people from outside, in areas like consumer banking, marketing, data analytics etc," says Sharma. She ensured a near absence of any resistance from the staff, a significant achievement given the acrimony at the time of her joining. In fact, she gave preference to internal candidates wherever the skill sets were available within the bank. "As long as you follow this rule consistently and people see it, then acceptance sets in," explains Sharma. The former ICICI banker also brought in greater transparency in performance management. "The idea is to get greater differentiation, thereby creating meritocracy than just loyalty," says Sharma, who heads a strong workforce of over 42,000 people. Rashesh Shah, Chairman & CEO of Edelweiss Group, vouches for Sharma's people approach. "She forges very strong relationships with people," says Shah. Undoubtedly, Sharma's participative style is also paying off. She now hosts an annual senior management meet to strategise for the future. "I was lucky to be exposed to some global leaders like Mark Trucker of Prudential Plc. and Nick Rohatyn of JP Morgan at ICICI Bank. I learnt core enterprise management concepts from them as well," she adds. Sharma also laid down a vision statement in 2015 for employees to have better clarity on the way forward. 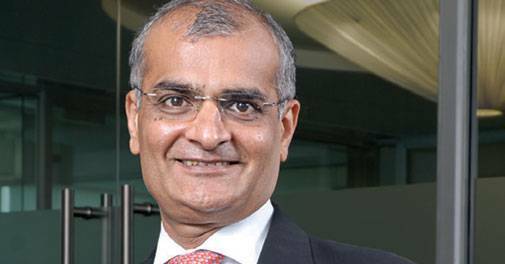 "There were no set goals specified, but opportunity was to grow the consumer lending business and also fill up some of the gaps in corporate banking," says Sharma. In fact, the bank was largely a corporate bank with retail portfolio accounting for one-fifth of the loans and advances. Sharma took corporate banking a step ahead by focusing on a holistic relationship (salary account, cash management, forex), instead of a mere lending relationship with clients. "Axis penetration in terms of large groups was much lower six years ago. Shikha's focus has been on getting top tier clients for multiple banking relationships," says V. Srinivasan, Deputy Managing Director at Axis Bank. The bank has also created a new vertical called transaction banking, by integrating current account, cash management, trade and forex services. While the bank had a strong debt management presence, Sharma pounced on investment banking firm Enam for filling the gaps in equity raising and M&As. Similarly, the retail banking division of the bank saw a slew of initiatives, starting with an online broking portal, home loans for affordable housing and very small business loans of less than Rs 5 crore. Similarly, she is targeting the super rich with 'Burgundy', premium banking services focused on high net-worth individuals. Sharma also dramatically changed the branch composition. Six years ago, the branch network was more urban with more than 70 per cent of the branches in metros and urban centres. Today , the bank has more than 50 per cent of its branches in the rural and semi-urban areas, though it is partly because of the mandatory rural branch obligations. Axis Bank is rightly targeting rural India, as competition in the future is going to heat up with payment banks and small finance banks. "I think the market in India is huge. We don't serve even five to seven per cent of the rural market. The new players are only going to expand the market," says Sharma, who has already put in motion a vision 2020 with more specified goals of rewarding shareholders and improving the share of low cost deposits, called current and savings account (CASA). The bank has a return of equity (ROE) of 18.57 per cent and a CASA of 45 per cent. It is among the best CASA levels in the industry. The biggest challenge for Sharma going forward is the deteriorating asset quality of the bank. Net NPAs have been inching up from 0.40 per cent last year to 0.47 per cent. HDFC Bank, at 0.25 per cent, has the best net NPA among the prominent banks. Shah of Edelweiss, who knows Sharma from her ICICI days, also admits that her twin challenge would be containing NPAs and expanding the retail franchise. "A fair amount of stress is coming from infrastructure and commodities, where external factors are playing a role," says Sharma. There is also the challenge of acquiring size to exploit the opportunities. In November last year, Kotak Mahindra Bank acquired ING Vysya Bank, which pushed its assets to over Rs 2 lakh crore. Axis Bank has double the assets of Kotak, but the stock market is giving a higher valuation to Kotak Bank which has a more universal banking model. In the last one month, Kotak market cap at Rs 1,22,926 crore has surpassed the Axis Banks market cap of Rs 1,09,844 crore. "Kotak Bank commands a higher valuation just the way HDFC bank gets better valuation than ICICI Bank," says a market analyst. Sharma is not losing her sleep over it. "Hopefully, as we do the right things, the market will see the quality of our franchise and start rewarding us as well," hopes Sharma. Whatever be the market dynamics, this Shiva devotee has managed to create immense trust and faith in Axis Bank brand, despite difficult times for the economy in the last six years.